The memories on the linked pages are from Norma Eaton (nee Keary) and are about the lives of her parents and maternal grandparents. 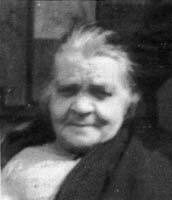 Mary Eleanor Sutton (known as 'Nellie') born 9th January, 1896 at 25 Piercy St., Ancoats; died 20th November 1995 at Chamber Mount, Chamber Road, Oldham. William Lawrence Keary born 26th October 1900 at 43 Prince Albert Street, Oldham. 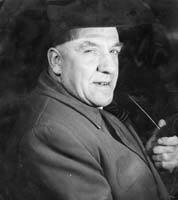 Died 7th September 1962 at Oldham & District General Hospital. "Known as Willie to his Mother, Billie to his wife and her family and Bill to his many other friends, the latter was the name he appeared to prefer. 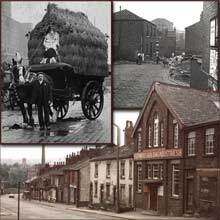 Bill's story begins back in 1900 in the midst of the small two up two down terraced houses that then surrounded Tomrnyfield Market. If the curtains at 43 Prince Albert Street were more pristine that some of the other houses, it was probably because Alice Keary, the lady of the house and Mother of Bill (or "our Willie"as she invariably called him), was the the local Launderess who supplemented her husband's wage with her earnings from washing and ironing the oily work clothing of some of the single men working in the local Cotton Trade and lodging in the area. Bill's Dad was a Painter and Decorator whose work could at times be seasonal. At other times, even when there was work in plenty, payment for work completed was not always immediately forthcoming. Morrey was almost always a scarcity in this and many other households in the area, and as a child Bill was very much aware of it. Aged eight he had watched in horror whilst the home of his best friend from down the street had been entered by the Bailiffs from the County Court, and most of their furniture, bedding and crockery taken to be sold in payment of outstanding debts. Later his friend's family were evicted for non-payment of rent and admitted to the local Workhouse at Boundary Park. Soon afterwards, Bill's normally placid and patient Father also called William, began to complain of severe headaches. He became very angry and abusive to Alice, his wife, and for Bill he had little patience. The normally quiet respectable household rang with William Keary's shouts and curses and many times Bill would be sent out of the house whilst things calmed down. In the area where the family lived lots of the men were heavy drinkers and Bill, naturally assuming his Father was drunk, would sit around the corner from the house quietly crying and hating the Pubs and Off Licences that sold the beer. Following a particularly violent outburst, Bill's Father fell into a very heavy sleep. Alice allowed him to rest for some time, then later, when she was unable to rouse him, sent for the `Penny Doctor`. The Doctor diagnosed a stroke, and many weeks were to pass before William Keary recovered suficiently to attempt to return to work. Even then, the amount of work he was able to do was very little compared to previous years. During the coming months and in spite of Alice applying her not inconsiderable knowledge of herbal medicines, William suffered a second stroke. At this time Alice was warned by the Doctor that should husband William suffer a third stroke this would probably be fatal. Unfortunately, and very soon afterwards, a third stroke followed and Wlliam Lawrence Keary Senior died on the 14th May 1909. With the aid of previous contributions to a Burial Club Alice Keary bought a grave at Chadderton Cemetery, and William was buried there five days later. At eight and a half years of age young Bill became the man of the household. His Mother Alice took in even more washing and then, whilst still finding time to help out a pregnant neighbour, baked a large batch of bread. Seeing the bread cooling on the sill of the open window, a passer-by asked to buy some from her. News of the high quality of Alice's baking travelled around the neighbourhood and over the next few weeks the numbers of her Customers increased, until Alice was able to make a small but regular wage from her baking. Whilst he and his Mother ate regularly and Bill attended School as before, he never forgot his friend who had lived down the road and was now compelled to live in the local Workhouse. Bill saw his Mother get up at five each morning to begin her baking for the day and at night, Bill would regularly dream of his fear that there was no money to pay the rent and he and his Mother were be evicted. As a practical, commonsensical child, Bill came to the conclusion that he should do something to help. Visiting a Butcher some distance away from his home he offered to supplement the deliveries of the usual Butcher's Lad. Aged nine years old Bill carried the heavy baskets of meat from Oldham Town Centre to the large houses of the Customers who lived near Alexandra Park. For these journeys, Bill earned sixpence per week. In spite of his Mother's protests Bill insisted on continuing with his deliveries, and the sixpences were handed over to his Mother each week with the instruction from Bill that, "This is to pay the rent." Some months later a neighbour, passing Bill's home, told Alice, that Bill was being given more and more heavy parcels to carry and being compelled to make more and more journeys in order to earn his sixpence. Alice set out immediately to find her son and discovered him sat on a kerb crying with weariness. She marched into the crowded Butcher's shop, loudly denounced the Butcher for his exploitation and promptlv ended Bill's days as a Butchers' Boy. During the rest of Bill's childhood Alice made sure that Bill saw that the rent was the first thing that was set aside out of any income, and the cash was always left in Bill's view to re-assure him that there would be no eviction. Years later, as a newly married man aged twenty one, Bill set himself a goal ... to buy his own house. Some time later he and his wife Nellie bought a house at 88 Goddard Street, Oldham. On the day he paid off the Mortgage fifteen years later, with great pride and satisfaction, he told his Mother Alice, "Nobody can evict us now, Mother." On three days of the week the area in the centre of Oldham known as Tommyfield Market was a noisy bustling place crowded with shoppers, stall holders competed with each other calling customers to buy, speakers stood on soap boxes and voiced their opinions, children screamed and laughed whilst they rode on the 'Dobbie Horses', hymns were played by the Salvation Army Band, Carters yelled encouragment to their horses pulling carts piled with everything from crockery to greengrocery or meat and even furniture. In the midst of all the noise, the cries of the unhappy patient sitting in the chair of the 'six penny Dentist', having a tooth removed went almost unnoticed particularly when the Dentist payed a busker to play his trumpet very loudly nearby. Overall the smells of fruit, vegetables, hot black puddings, duck-a-muffins and Meat and Potato Pie made the many empty stomachs roll in hunger. The poorest people went to the Market just before closing at 11 p.m. to buy food at reduced prices. In and between Market days Tommyfield was quiet and the stalls deserted and empty. In the small narrow streets of terraced houses, play space was very limited and on non-Market days children from the surrounding area used the Tommyfield as their playground. The empty stalls became Castles to climb, Islands to seek sanctuary and shout 'Barley'. They were hiding places for games of Rally Oh, and provided the rails and bars to perform acrobatics. The empty Tommyfield was also the place to make new friends. Friends from the Showmen and women of the Circus and Fairs who pitched their Big Top on the Green and their Stalls and Caravans on Tommyfield. The Showmen and women grew to like the young boy who soon found ways to make himself useful around the place. Young Bill proved to be honest and trustworthy and he could be relied upon to fetch water and hay for the horses, to sweep the 'pitch" and to care for the sideshow whilst the Show people had a bite to eat. Years later Bill could still prop the Coconuts up with sawdust so firmly that even Freddy Truman could not have knocked them down. At the beginning Bill's earnings were free tickets for the Circus, or free entry to the Boxing Booth and an occasional ride on the Wall of Death. Later he began to earn sixpences (about two and a half pence) for his work. All money went home into the family 'pot' to help pay the rent and buy the food. One Wakes Fair day one of the Showmen asked Bill if he knew of lodgings in the area. Bill ran home and after a lot of persuasion, Alice agreed to allow the Showman to rent their back bedroom for two weeks. The next time the Fair visited other Showmen stayed and, as time went by, the Showmen in turn told Theatrical friends of the immaculately clean and tidy house that offered good food and a comfortable bed. As a result Alice's income improved and Bill began his lifelong fascination with the world of Show people and Theatre. Fifty years later Bill regularly bought 'The Worlds Fair', the Showman's newspaper, to keep up to date with news of the families of his old Showmen friends. The friendships made during his childhood extended right the way through his life and in turn allowed his daughter to glimpse a little of the lives of Show people. During his School years Bill attended Beever Street Council School where he enjoyed Mathematics and gained high marks in English language. Aged eleven years, he and a classmate named Frank Lord, another pupil at the School (later to become Mayor of Oldham and Father of High Court Judge John Lord), were offered Scholarships at the Bluecoat School. At that time the Bluecoat School took children of Grammar School potential only and particularly focused on the educational interests of children who had onlv one parent or where both parents had died. Unfortunatelty, in spite of an improvement in income from now taking regular lodgers who worked in local Cotton Mills, Alice could not afford to purchase the Uniform and the necessary sports equipment. The Bluecoat School offer was declined with regret and Bill continued at Beever Street School. Later he was awarded medals for Rugby and Athletics. Aged fourteen years and on the point of leaving School, the prospect of a career was the subject of a discussion between the Headmaster, Alice and Bill. The Headmaster gave his opinion that Bill had potential for further education but unfortunately, as the funds were unavailable, the Headmaster recommended an apprenticeship in Engineering. Bill firmly declined and stated his preference for work in the Cotton Mill which would pay good wages immediately and ensure he and his Mother had a sufficient income. Within the week Bill began working in the Cardroom. After the long tiring days working in the Cotton Mill, Bill enjoyed sitting in the kitchen at his home listening and questioning, whilst the men who lodged at his house voiced their views on current events, politics and trade unionism. It was at this time that Bill's strong Socialist opinions were formed, opinions which he staunchly maintained for the rest of his life. 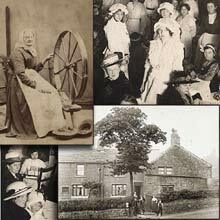 Membership of the Oldham Card and Blowing Room Operatives Union and his later appointment as Secretary gave him opportunity to use his skills to help set up and teach Evening Classes. 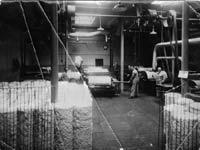 These classes were available free of charge to members of any Trade Union who were working in the Cotton Trade. The 'Cotton Classes' as they were known, taught on subjects ranging from basic to advanced English and Mathematics through to Politics and History. Run in conjunction with the Workers Education Association, they were held at the Mechanics Institute on Manchester Road Oldham. Later in his career, Bill was appointed as Instructor to a Government Training Centre for the Cotton Industry, he was later promoted to Chief Instructor of this Centre. The Training Centre was created by the Labour Government afer the Second World War to train some of the newly demobbed ex-servicemen and some of the many female refugees from Eastern Europe for work in the Cotton Mills. The Centre closed when the numbers of refugees fell and Bill returned to his former job as a Stripper and Grinder in the local mills. Some years later, Bill became a victim of Bysinnosis, the Chest condition associated with the Cotton trade. He received a small Pension but was compelled to leave the dust laden atmosphere of the Mill and take a lighter job in the Mill offices working as a Yarn Tester. The illness greatly restricted his mobility and curtailed even his Trade Union activities. Even with poor mobility Bill managed to make many new friends whilst taking short walks with his Grandson Duncan, in Springhead, where he and Nellie had bought a terraced stone Cottage. On the evening of the 24th August, their fortieth Wedding Anniversary, Bill suffered a Stroke and he died on the 7th September 1962. At an Inquest held at Oldham Coroners Court it was decided that after 48 years spent working in the Cotton Trade neither Bysinnosis nor any of its effects were the cause of his death, hence no further Pension would be payable to his wife." Bill Keary 1st from left.